The Radio Ruck is back. The original is pictured here with Java in the summer of 2009 in the great Southern town of Oxford, Mississippi. We thought way back when that it was better to have the Echo be much smaller than GR1, which it is. 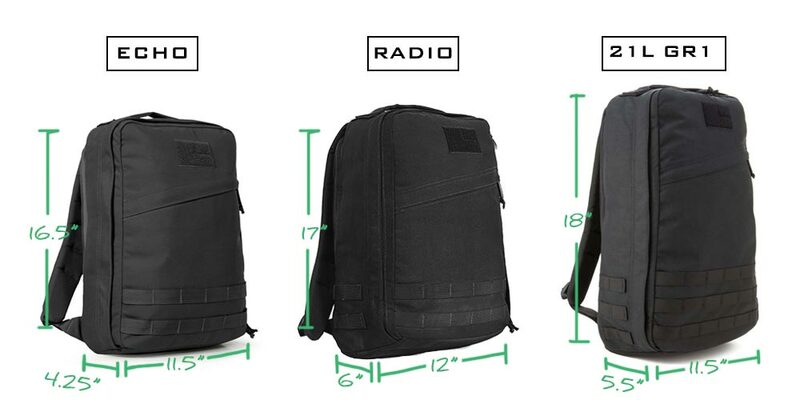 The Radio Ruck seemed too close to GR1 at the time, but we’ve gotten a lot of requests for something a little smaller than GR1 and bigger than the Echo, so here is it, the Radio Ruck. The name Radio Ruck. Usually, one of us just starts calling something by a certain name and it sticks. Nothing scientific about it. 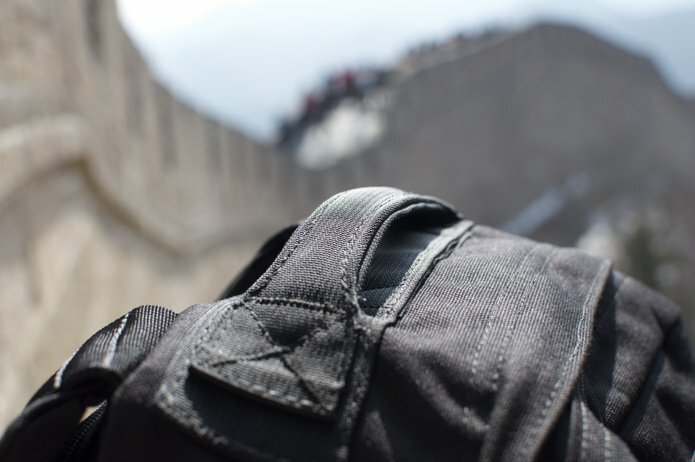 We named Radio Ruck because I thought it should be roughly the size of the primary radio I used in Special Forces with a little more room for this or that, like spare batteries. The black radio pictured in the foreground was this sizing inspiration and is called the PSC-5 (actually people call it the Piss-5). 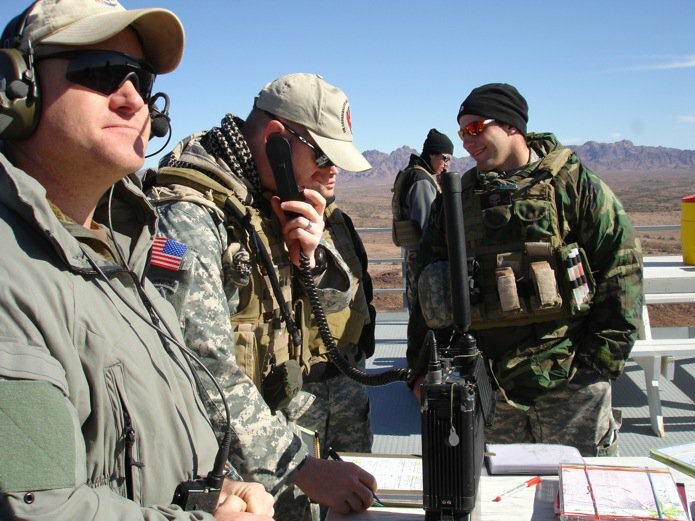 I'm pictured in the background with some of my aircraft controller school classmates in Arizona in 2007. 2 years after we built the first prototype, it was put into production. 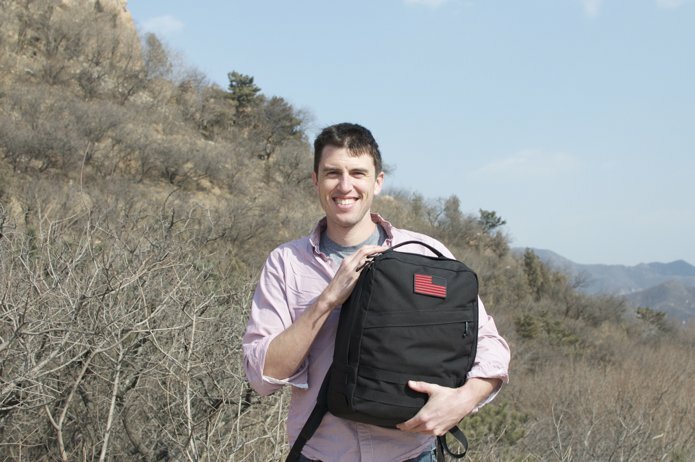 I snagged one to test out as a daypack (replacing my GR1) while I went trekking along the Great Wall. 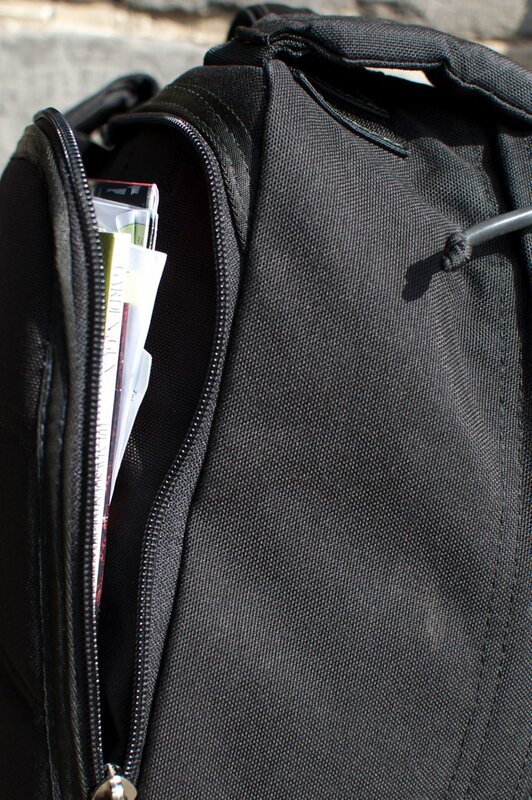 The features and design are recognizable from our other bags. 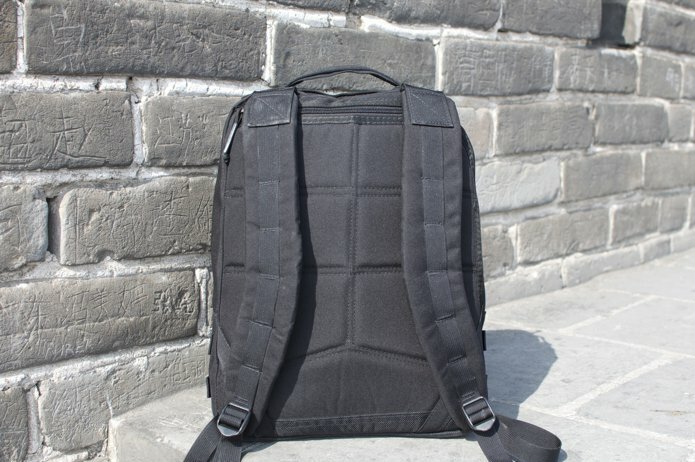 Military-grade everything, silent zipper pulls, a laptop compartment next to the wearer’s back, limited MOLLE webbing along the bottom and on the shoulder straps, and a padded carrying handle. My laptop stayed back at the hotel in Beijing, so the back compartment has other fun things in it, like local maps and Garden and Gun, a favorite of ours to pass the time anywhere. The obligatory tourist shot, which happened too late to include better scenery, such as the Wall. 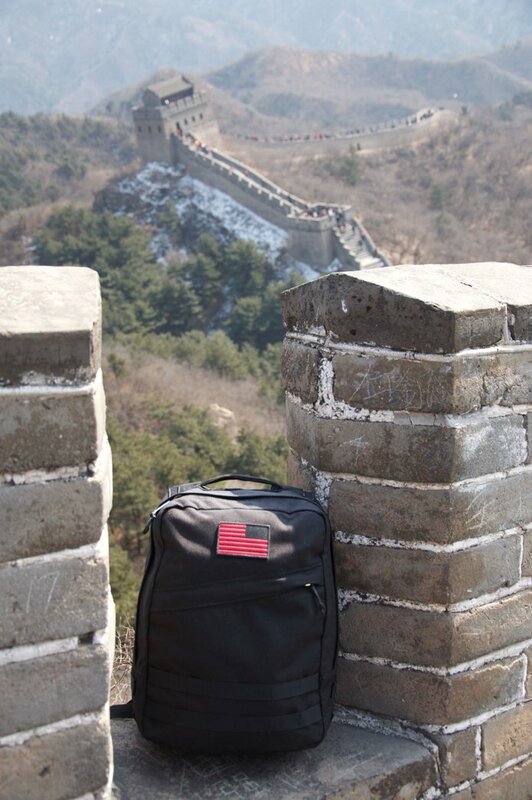 The Radio Ruck is a day pack, sized between the Echo and GR1 and built in line with GORUCK’s highest standards of durability, functionality, and style. 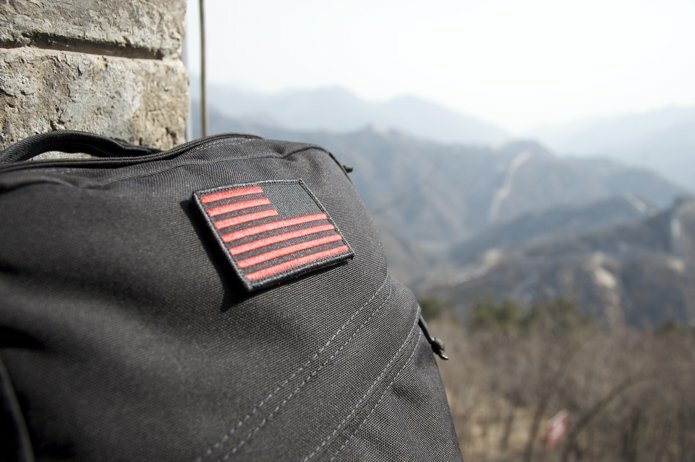 As with all GORUCK gear, we stand behind Radio Ruck with our Scars Lifetime Guarantee.